Anthony, Director of The Blau & Berg Company, is responsible for representing tenants and buyers as well as owners. 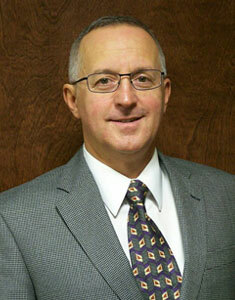 He has been with The Blau & Berg Company since 1986. While experienced in all aspects of commercial real estate, his primary focus is in the industrial market. He has represented all types of companies including international, national and regional businesses as well as many local operations just starting out. Anthony is a graduate of Rutgers University where he received his Bachelor of Science degree in Economics. In addition, he has obtained the designation of Certified Commercial Investment Member (CCIM) from the Commercial Investment Real Estate Institute (CIREI) at New York University. This designation is achieved only after an individual exhibits an expertise in commercial real estate brokerage, leasing, asset management, valuation, and investment analysis. He is one of approximately 6,000 realtors to hold this designation worldwide.